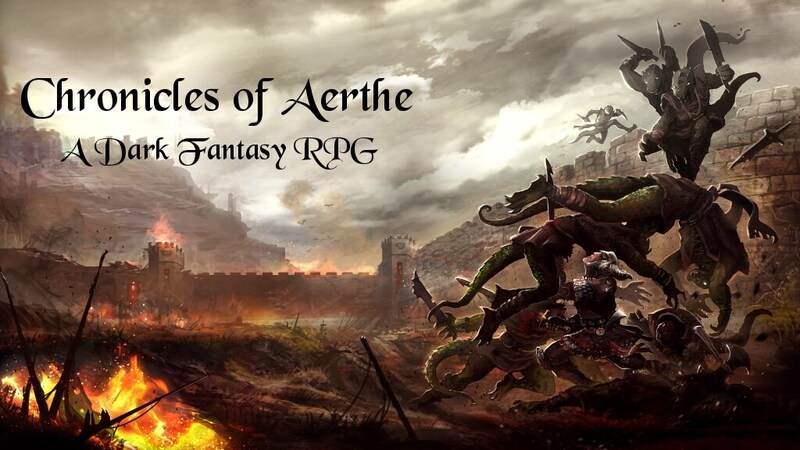 The Chronicles of Aerthe is a Dark Fantasy Roleplaying game set in a world that has been devastated by a magical event called the Convergence, which forced parallel realities to merge and orbit the Aerthe. The Convergence has created a varied world of races totally different from those native to Aerthe that bring with them new technologies. Arete is the main continent in the main book and the first place you will discover in the game. A land of corruption and danger, Cults and monsters, Arete is just one of many places to see on Aerthe. You can play as one of the races that survived the Convergence or as one of the races that were trapped and left behind on Aerthe. You will explore ancient ruins, travel to other realities and get involved in both political and religious intrigues. You may delve into the depths of Aerthe or to hundreds of parallel worlds, so it can be a game of endless adventures where everything is possible. There are fractures in reality that act as gateways to other Aerthes, which may be ruled by different laws of magic and physics or may have gone through different disasters. Each new realm will bring new races and religions, new monsters and enemies. You may choose to explore these new worlds or exist within them. The Chronicles of Aerthe features over two dozen Professions and Careers, as well as seven unique Races to choose from. Characters have many skills and abilities, each with diverse Talents and Techniques, so each one of them can be unique. You choose a Focus that helps you guide your Ability and Skill choices to form an organic, whole character. You, also, get Weapons and Armour that can be enhanced using Perks, with Living Weapons learning as you do, and there is also a Magic system that allows you to adapt the spells you know and increase their power and effects. Moreover, your skills can be improved by training, just like real life. This is a world of strange magic, cults and war, and you are welcome to explore it. The Chronicles of Aerthe has been launched on Kickstarter and has been planned for release in 2017. Watch the Kickstarter video with totally amazing music!